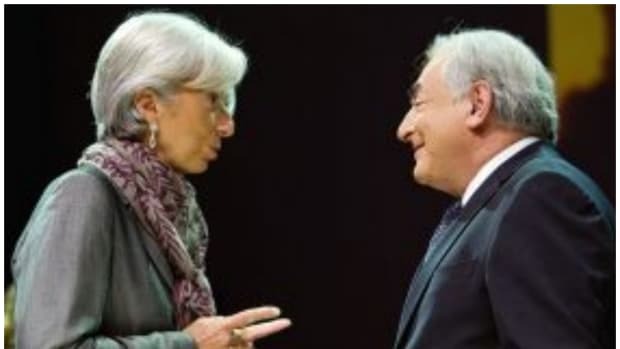 This is not the way to express your appreciation for the IMF&apos;s relatively positive comments on the end of the recession in a number of European countries and GDP growth in emerging market countries. After singling out Turkey as one of the countries that will lead the emerging market charge, IMF Managing Director Dominique Strauss-Kahn was treated to a shoe being thrown at his head while giving a speech at a Turkish university. While the most recent contestant for title of world&apos;s greatest shoe thrower could use some pointers from Bush&apos;s favorite Iraqi journalist, his attempt did not go unnoticed by the security guards in the room.